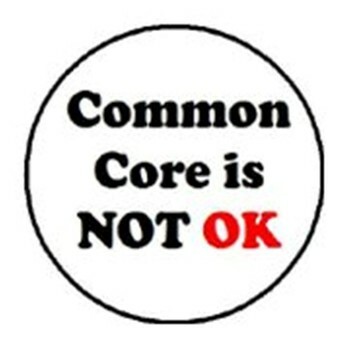 This profession I have so loved has been hijacked by the Common Core. Those who endorse it (big money investors, special interest groups and big government) will spin the truth about Common Core to make it appear to be a fix for what they call a broken system. $ talks. Even the NEA is pumping out pro-CC propaganda. I believe you can rarely regain what you have surrendered. Under CC, we teachers are no longer here to serve children. We are voiceless servants of Bill and Melinda Gates and others like them. We are part of a machine that threatens our future liberty and sacrifices our talents as well as the untapped potential of our young. We teach to the test. We channel our time and energy into churning out paperwork, recording irrelevant or pointless data and holding on to the incomes we depend on. We allow legislators to dictate our curriculum and wait as the software and computer industries stand poised to profit from a carefully crafted takeover of our country’s education system. Most of us are aware that Christianity has its roots in Judaism. One of many similarities in observing holidays and festivals was brought up recently, in an ecumenical faith sharing I attended. 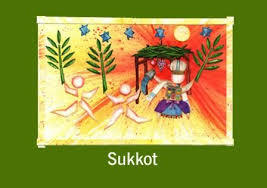 I became aware for the first time, of a Jewish holiday season called Sukkot (pronounced ‘Sue Coat’). Sukkot is an eight-day holiday, with the first day celebrated as a full festival with special prayer services and holiday meals. 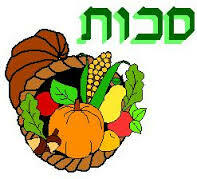 The remaining days are known as Chol HaMoed (“festival weekdays”). The seventh day of Sukkot is called Hoshana Rabbah (“Great Hoshana”, referring to the tradition that worshippers in the Synagogue walk around the perimeter of the sanctuary during morning services) and has a special observance of its own. Outside Israel, the first two days are celebrated as full festivals. Throughout the week of Sukkot, meals are eaten in the sukkah and the males sleep there, although the requirement is waived in case of rain. [ A ‘sukkah’ is a temporary hut constructed for use during the week-long Jewish festival of Sukkot. 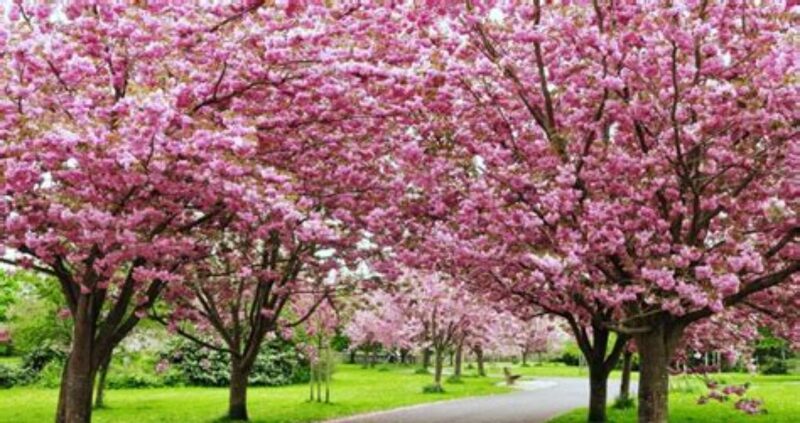 It is topped with branches and often well ]. 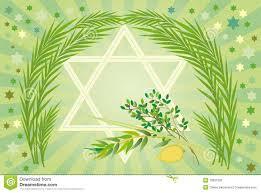 Every day, a blessing is recited over the Lulav and the Etrog [ palm and citron bound together ]. Observance of Sukkot is detailed in the Book of Nehemiah and Leviticus 23:34-44 in the Bible, the Mishnah (Sukkah 1:1–5:8); the Tosefta (Sukkah 1:1–4:28); and the Jerusalem Talmud (Sukkah 1a–) and Babylonian Talmud (Sukkah 2a–56b). The Festival of Sukkot begins on Tishri 15, the seventh month of the Jewish year, during which many important holidays occur. 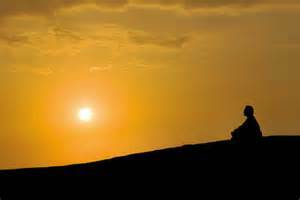 This holiday falls on the fifth day after Yom Kippur, one of the most solemn Jewish holidays. Yom Kippur is a day of atonement which includes fasting, depriving oneself of pleasures, and repenting from the sins of the previous year. This year, Sukkot begins at sundown on October 16th and ends at nightfall on Sunday, October 23rd. This holiday is also known as the Feast of Booths, the Feast of Tabernacles, and the Feast of Ingathering. In vivid contrast to the solemness of Yom Kippur, Sukkot is so joyful that it is considered the longest and happiest holiday season of the Jewish year. This ‘Season of our Rejoicing’ holiday commemorates the end of the Jews wandering in the desert. and finally reaching the land that God promised. When they did finally reach the land that God promised them, they became farmers and grew olives, wheat and grapes. When they harvested their crop, they built wooden huts near their fields where they lived until the harvesting was completed. Then and today, Sukkot is a celebration of the end of the 40-year wandering for the promised land, and for the harvest of their crops. Praising God for His protection and peace, the holiday was and is celebrated by a time of feasting and of thanking God for their harvest. Many historians believe that the Pilgrims fashioned their Thanksgiving from their readings of Sukkot in the Bible. The first Thanksgiving celebration fell in October and lasted for three days. http://www.jewfaq.org/holiday5.htm; The Family Treasury of Jewish Holidays, M. Ducker. Recently I read a local newspaper column that blasted the Boy Scouts for taking so long to accept openly gay scouts. The attitude was that Christians should mind their own business and allow the rest of America to do what they want. Unfortunately too many Americans wish we shut up or go away. But can we do that? Aren’t we affected by the sin around us? Can we really expect God to allow this country to keep going the way it is and do nothing? The Bible says no and can be supported by history. We seemed to have forgotten the stories in the Old Testament when Israel was punished for its sins. It is history. Israel and Judah were both conquered. The Temple was destroyed. Read the book of Judges, 1st and 2nd Samuel, 1st and 2nd Kings and Chronicles. These books make the point clearly. When the Israelites strayed from the Lord their enemies, the Philistines and others were able to defeat them. When they returned to the Lord their enemies were defeated. Should we ignore the lessons of Noah and of Sodom and Gomorrah? What about the conquest of Israel by Assyria? What about the destruction of Jerusalem by Babylon and the exile? Shouldn’t we learn from the mistakes of the past? Doesn’t the Bible have ramifications for us today? We are all concerned about Islamic terrorism today. 9/11 and Boston proves we’re not invulnerable. Our defense and security isn’t perfect. We are at risk. We live in a dangerous world. The presence of nuclear, chemical and biological weapons makes the world a deadly place. There’s potential for catastrophic war in Korea and the Middle East. China is a real concern. Our economy is still shaky. It wouldn’t take much to push us back into recession or worse. We used to be the most blessed country on earth. Look at our history, our victories in World War I and II, the defeat of communism and the strength of our economy through most of the 20th Century. God’s blessings were obvious. Now with all that is going on We have to question if we’ve left God’s protection? Are we worthy of God’s protection and blessing? Should a nation that has killed fifty million of God’s innocents expect protection? Should a land that blatantly defies His teaching on marriage expect protection? Will God ignore all that is done in the name of greed or prejudice? Should such a country be protected? Could all of the natural disasters we’ve experienced be a wakeup call? Could God be attempting to get our attention? Was Sandy a call to repentance? Most people blindly ignore these or blame them on global warming. Can you explain the violence ripping apart our cities, the shootings at Sandy Hook, Aurora, Colorado and Arizona as global warming? What about Virginia Tech, Fort Hood, Columbine and all the other mass murders? Our kids aren’t even safe in school. So often liberals talk about a God of Love but is it love to allow us to go on hurting ourselves by our sins? Is it love to allow the exploitation of the poor by Planned Parenthood and others? Is it love to allow the slaughter of millions of innocent children for the sake of profit or convenience? Is it love to permit the emotional damage and pain suffered by millions in our society today? Or would love call us to repent of the very sins that hurt us and others? Maybe it is time to seriously ask ourselves some questions. Have we’ve gone so far in our arrogance and sinfulness that God has abandoned us to the consequences of our sins? Has God accepted our invitation to leave us alone? Is it possible that we do in fact need God, that our problems are too big for our government, that we are doomed as a country without Him? Just look at how well we are doing. As Christians we can’t be silent. For our own sake and the sake of our country we must continue to speak out against the path of destruction that our nation is following. We must also do more. We need to pray and pray hard every day for the conversion of our nation. It is the most patriotic thing you can do for our country. We need to speak out and take a stand against the immorality in this country, not only with our vote but also with our wallets. We need to refuse to support companies that promote immorality. Don’t just stand by while our country marches to destruction. **This was published in the October issue of Christian Action News, a pro-life newsletter out of Florida. Bullying has been with us since the first one-room schoolroom. 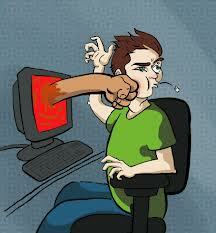 Name-calling, insults and spreading nasty rumors were part of growing up. Now, with the internet and it’s social sites, password theft and intimidations, threats, embarrassing pictures, telling secrets or giving information without permission are added – and is passed around with lightning speed. It is disheartening to read about school administrators across our nation trying to curtail these unwanted attacks and being thwarted at attempts to stop them. When they are aware of these bullying actions, some administrators and schools react to them, having set up programs to prevent and punish the perpetrators. And now — judges have ruled against them for doing so. Public schools can prevent students from calling names in a classroom or even school grounds if name-calling disputes can interfere with lessons, but have not sought to extend discipline to cover conduct outside school hours. And there are tanglements and differences in legal opinions if insults or harm to another student comes from the classroom computer or a cell phone voice mail. 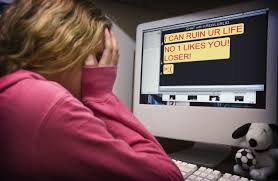 Cyberbullying starts in elementary school, peaks and intensifies in junior high and continues through high school. Preadolescents get involved in cyberbullying through emails, chat rooms, and instant messaging. Websites such as MySpace and Facebook have added to it. According to the National Crime Prevention Center, over 40% of all teenagers with Internet access have reported being bullied online during the past year. Girls, more than boys are victims of bullying over the net and the percentage increases with the amount of time they spend online. A small percentage – about 10% – actually tell their parents about their bullying incidents and only about 15% of their parents are aware of their kids’ online activities. And about 20% are reported to the National Crime Prevention Center. Teens believe they have to ‘live with it’ and usually won’t tell their parents because they are fearful that their parents will restrict their online use or cancel their accounts, which are very popular among teens. The problem is exacerbated by the use of camera cell phones and digital cameras – taking videos of unsuspecting victims in various situations and posting them online without their permission or knowledge. We’ve all seen TV news on two teens fighting while someone is videoing it instead of stopping it. Personal phone calls are recorded and posted as well. With the growing increase of bullying overall and lack of respect for all people, cyberbullying has escalated into a world-wide problem. The ‘Archives of Suicide has focused on this problem and calls it ‘cyberbullicide, defined as “suicide indirectly or directly influenced by experiences with online aggression” (Hinduja & Patchin, 2009). “Traditional bullying victims were 1.7 times more likely and traditional bullying offenders were 2.1 times more likely to have attempted suicide than those who were not traditional victims or offenders. Similarly, cyberbullying victims were 1.9 times more likely and cyberbullying offenders were 1.5 times more likely to have attempted suicide than those who were not cyberbullying victims or offenders”. Cyberbullicide does occur infrequently, but needs to be identified to inform prevention and response efforts. 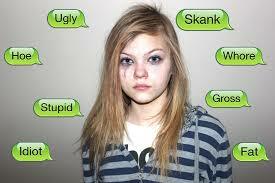 Some victims of bullying have lashed back through attacks on the school or other innocent children. One prevention suggestion: To all parents, especially if your child gets home from school before you get home from work: since the National Crime Prevention states that only 15% of parents are aware of their kids’ online activities, it seems that is one of the first preventative measures a parent can take to ensure their child is not receiving or perpetrating bullying activities from their home computers is to check out where your child spends his or her time online.